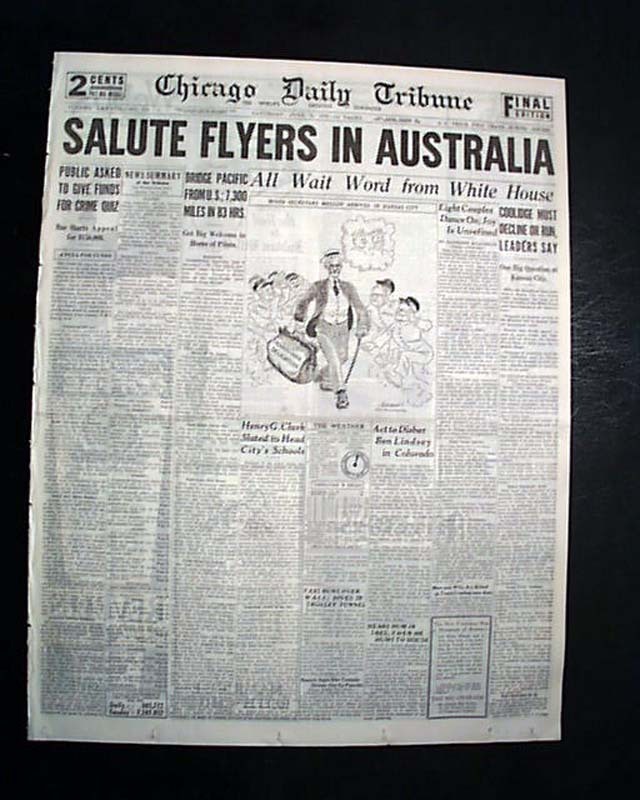 The front page has a banner headline: "SALUTE FLYERS IN AUSTRALIA" with subheads. (see) Nice for display. Two related photos on the back page. Complete with all 34 pages, this is the "rag edition" printed on very high quality newsprint meant for institutional holdings. In great condition as such. 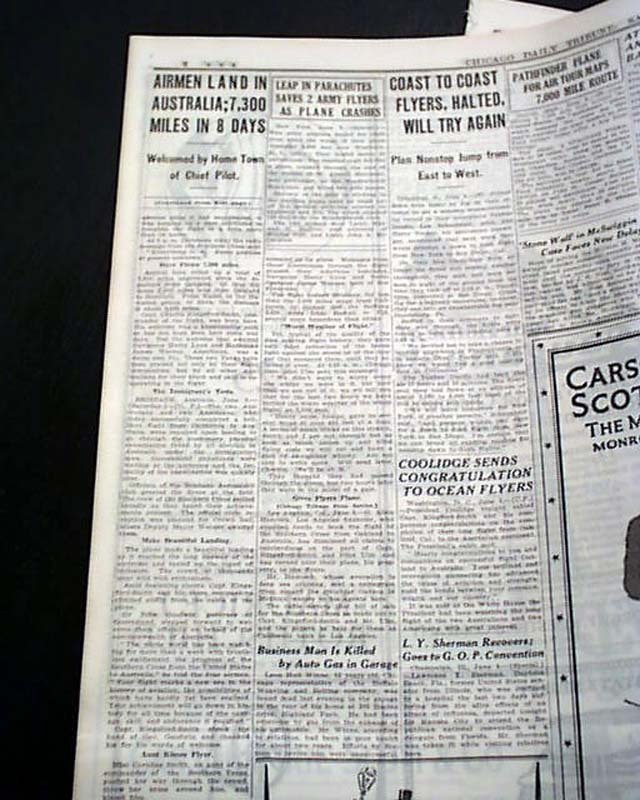 wikipedia notes: At 8:54 am on 31 May 1928, Kingsford Smith and his crew left Oakland, California to make the first trans-Pacific flight to Australia. The flight was in three stages. 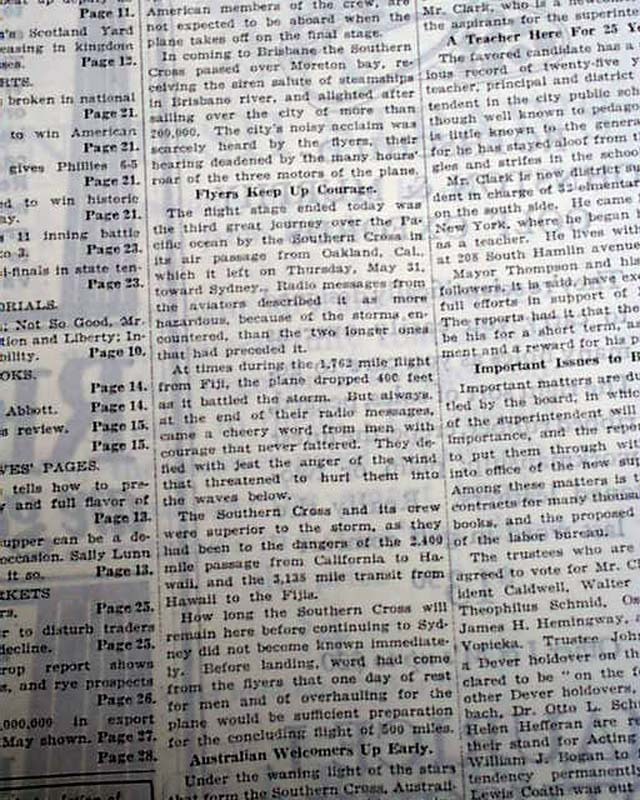 The first (from Oakland to Hawaii) was 2,400 miles, took 27 hours 25 minutes and was uneventful. 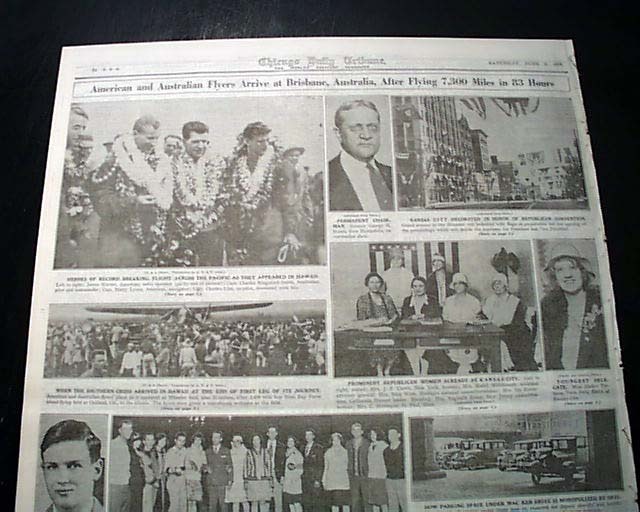 They then flew to Suva, Fiji 3,100 miles away, taking 34 hours 30 minutes. This was the toughest part of the journey as they flew through a massive lightning storm near the equator. 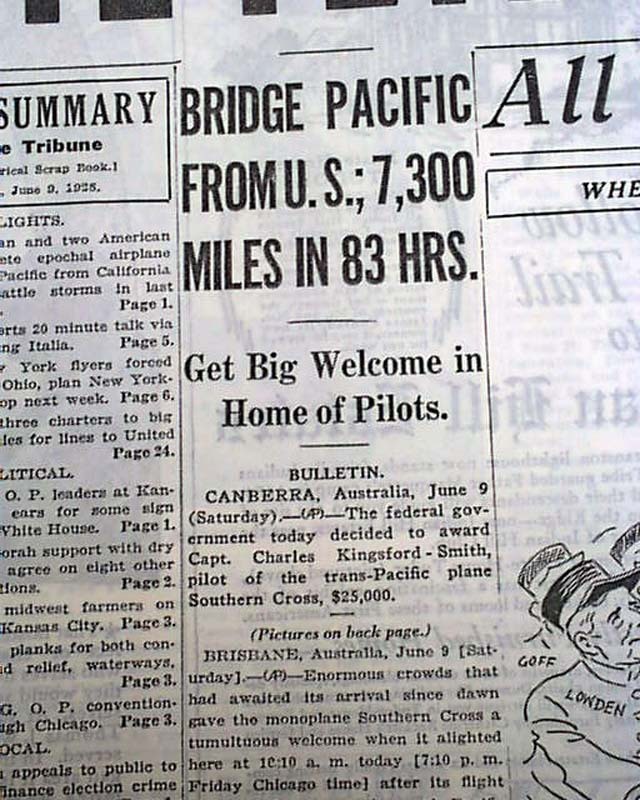 They then flew on to Brisbane in 20 hours, where they landed on 9 June after approximately 7,400 miles total flight. 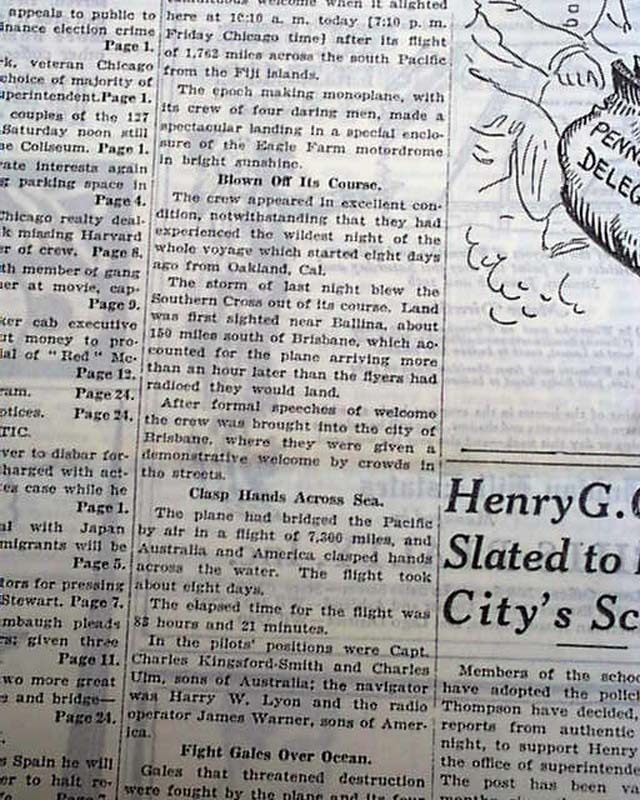 On arrival, Kingsford Smith was met by a huge crowd of 25,000 at Eagle Farm Airport, and was feted as a hero. Australian aviator Charles Ulm was the relief pilot, and the other two crew members were Americans James Warner and Captain Harry Lyon (who were the radio operator, navigator and engineer).